Tucson, AZ, WPH Press, 7/17/15- The World Players of Handball is proud to head the handball division at the Tucson Racquet Club All Sports Camp at the Tucson Racquet Club for the third consecutive summer. 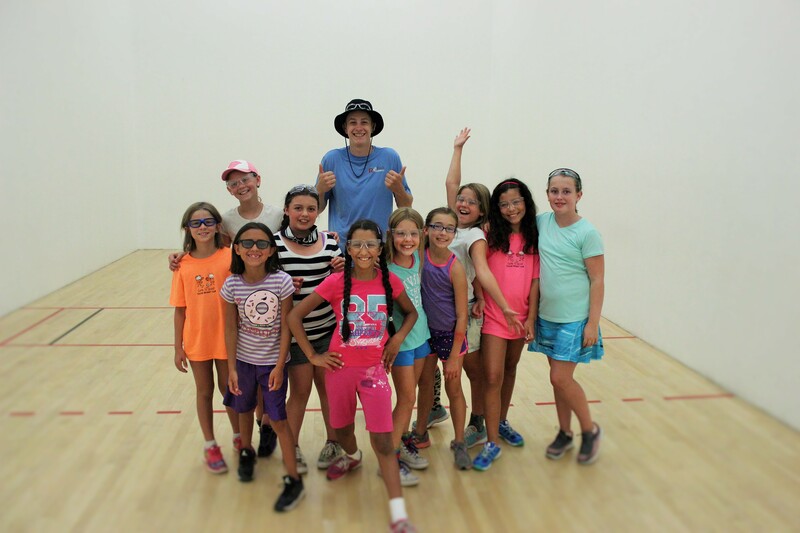 Junior WPH Coach Tanner Cleveland coaches five junior handball clinics per day at the Tucson Racquet Club All Sports Camp throughout the 10-week summer camp, stressing the importance of warming-up, handball fundamentals, handball strategy and most importantly, having fun! Coach Tanner has been coaching handball at the Tucson Racquet Club for three summers, while also leading after school and weekend programs at the TRC during the school year. More than 100 kids between the ages of 7-15 play handball each week at the Tucson Racquet Club Summer Camp, making the camp one of the most popular places in the country for junior handball.